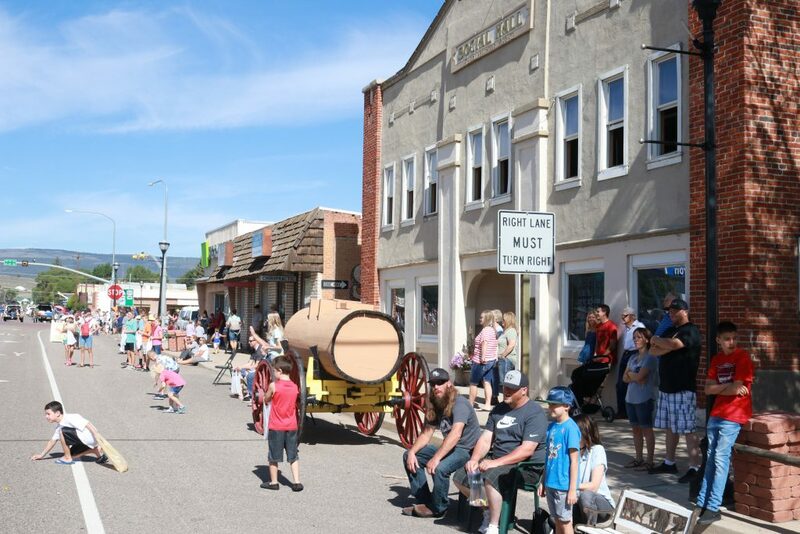 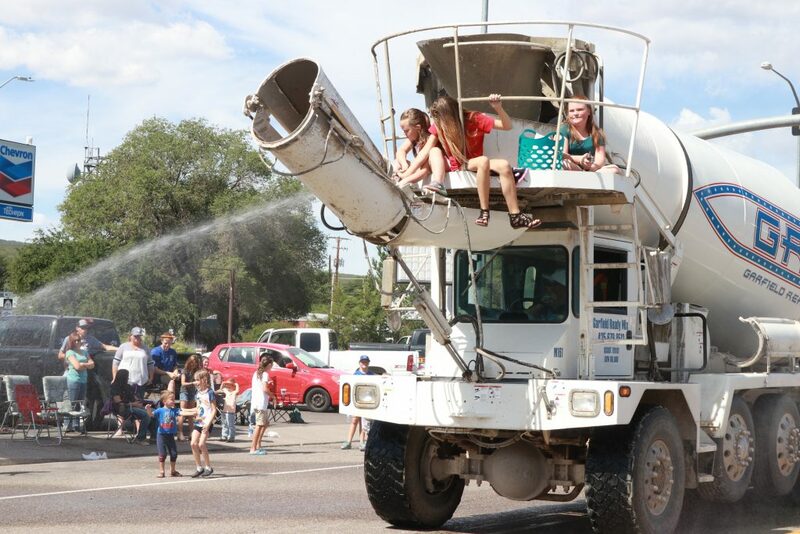 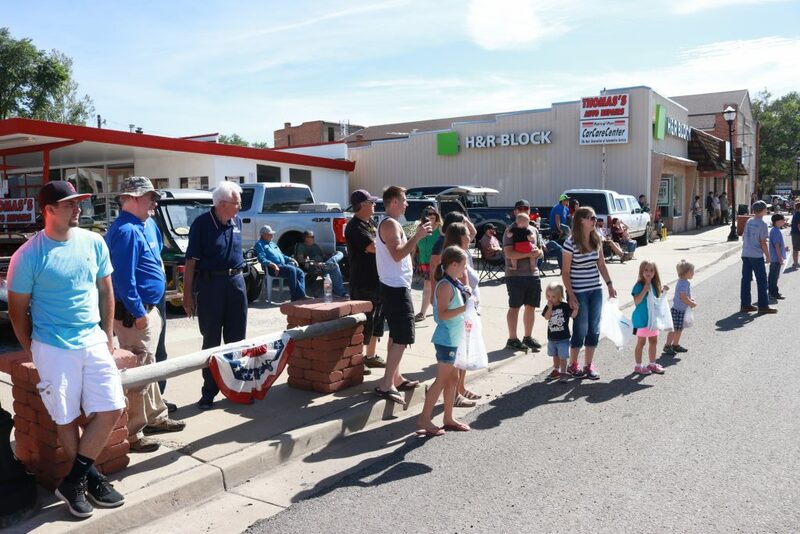 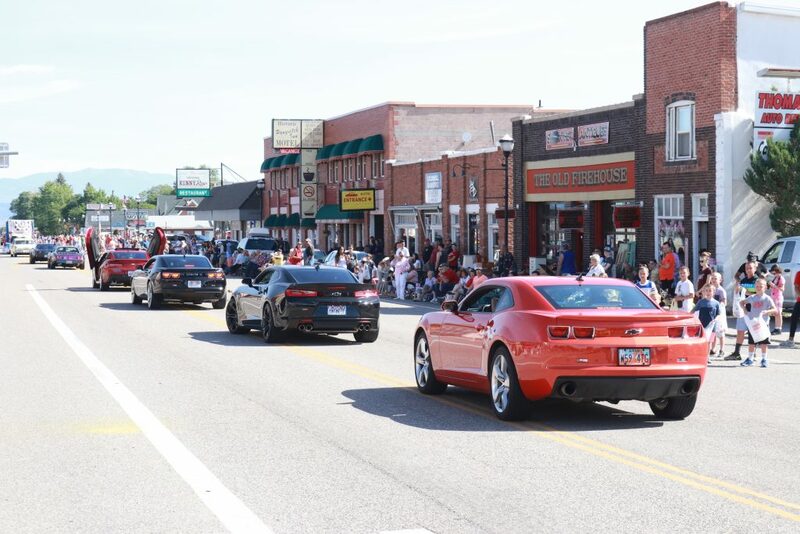 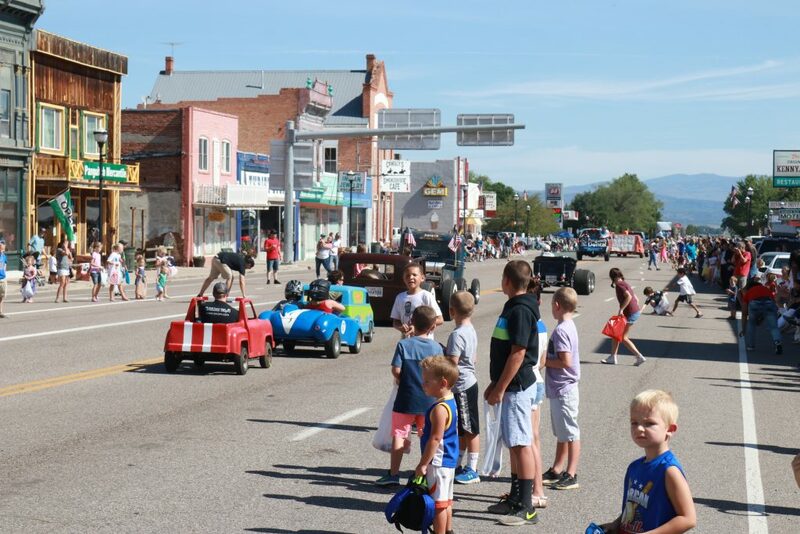 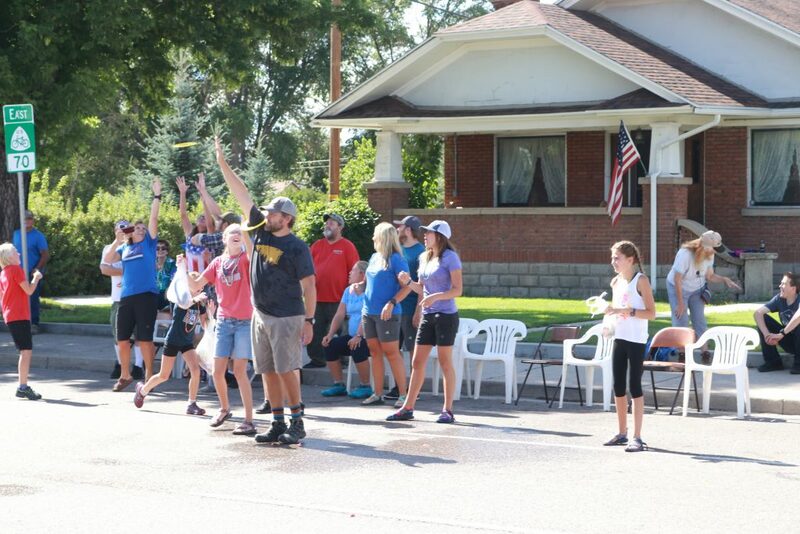 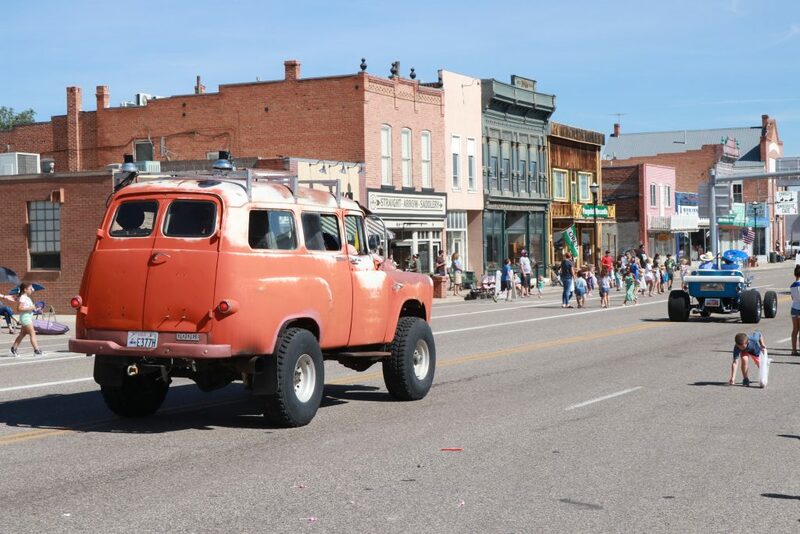 PANGUITCH — Hundreds of people lined the streets of Main and Center streets to watch the town’s annual Pioneer Day parade Saturday morning. 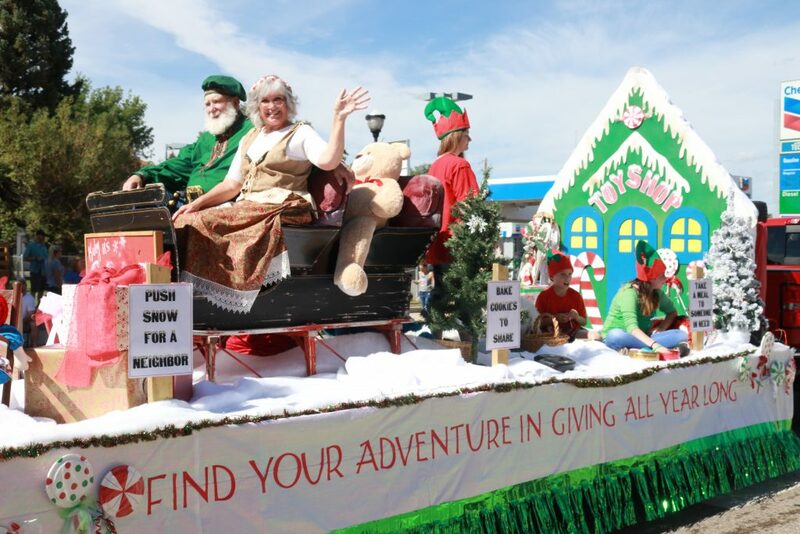 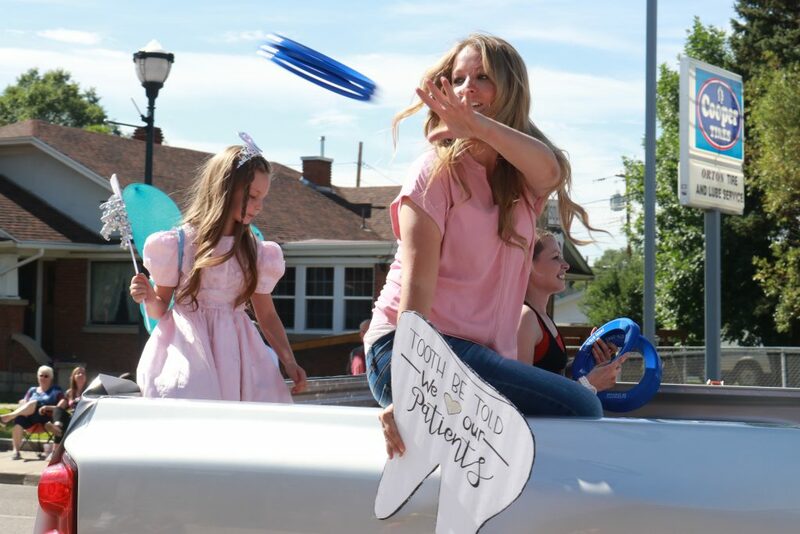 Although the actual state holiday isn’t until Tuesday, Panguitch folks got the jump on the celebration, as dozens of entries made their way along the L-shaped parade route and back again. 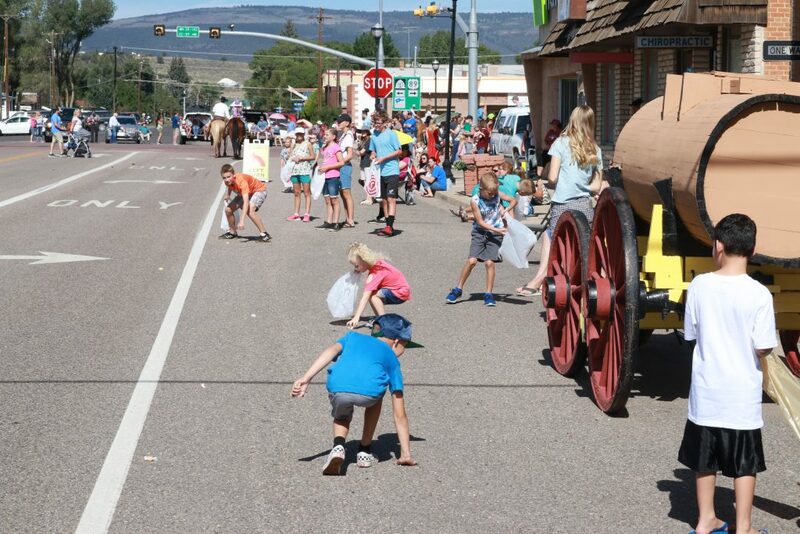 Yes, parade watchers are treated to a double dose of fun, watching the whole spectacle pass by twice, in keeping with the town’s custom. 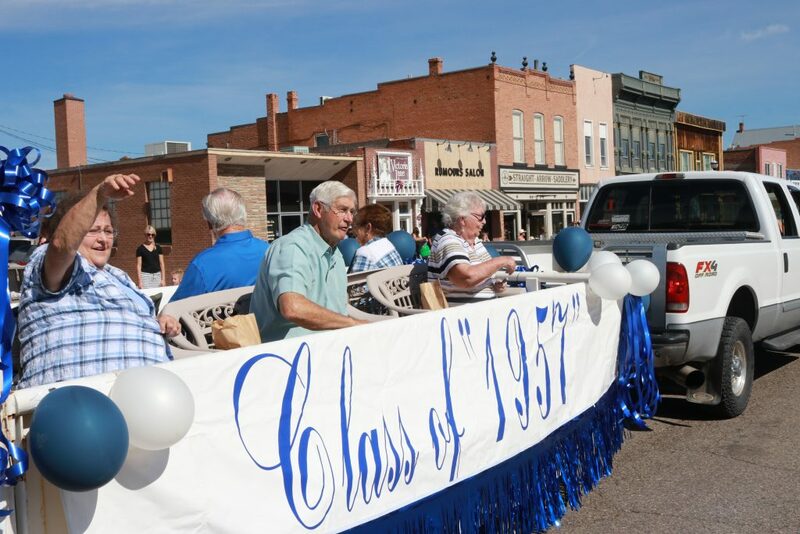 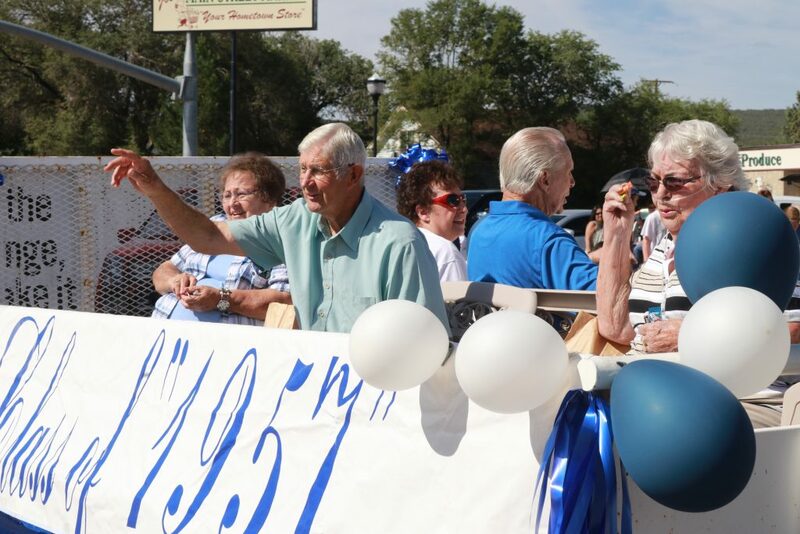 Panguitch High School alumni waved from floats commemorating their respective graduating classes, going back as far as 1953. 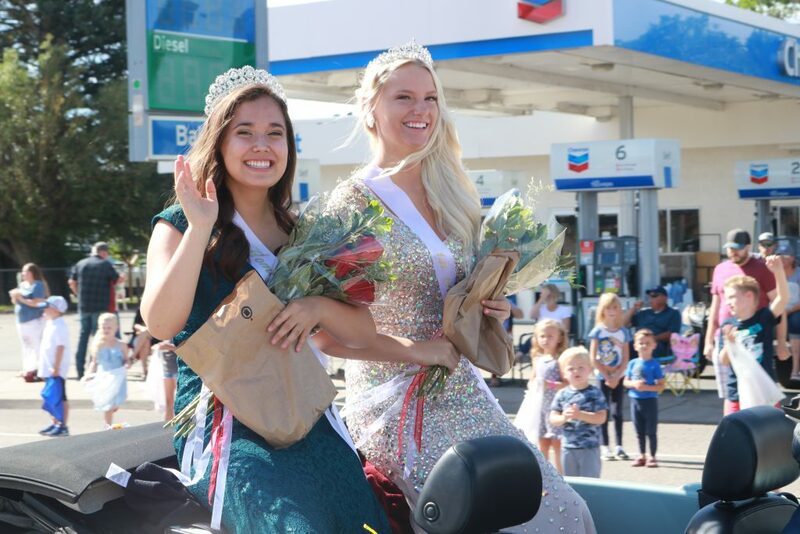 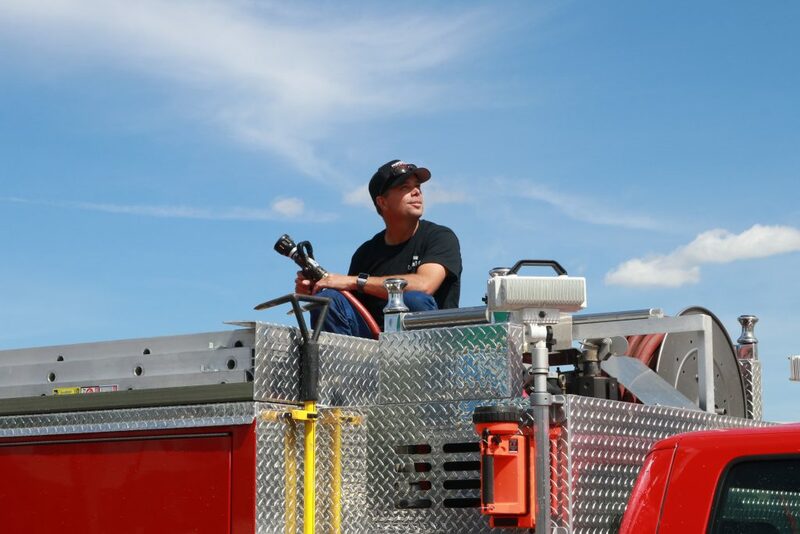 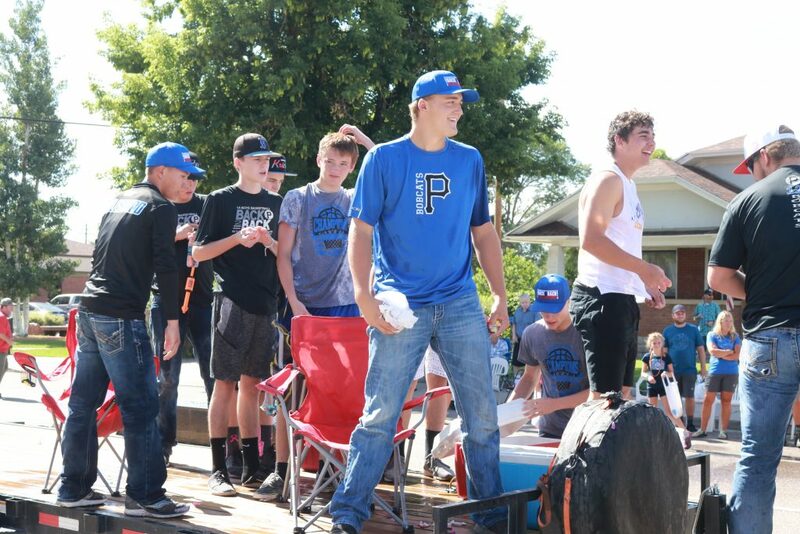 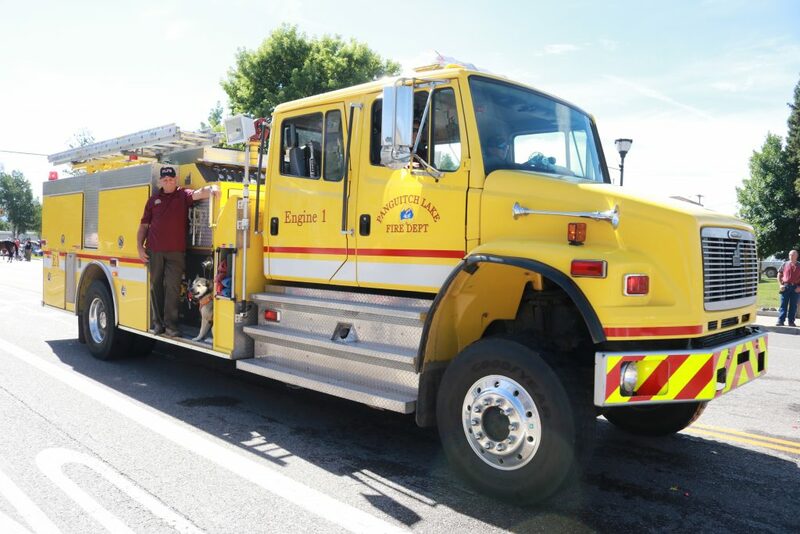 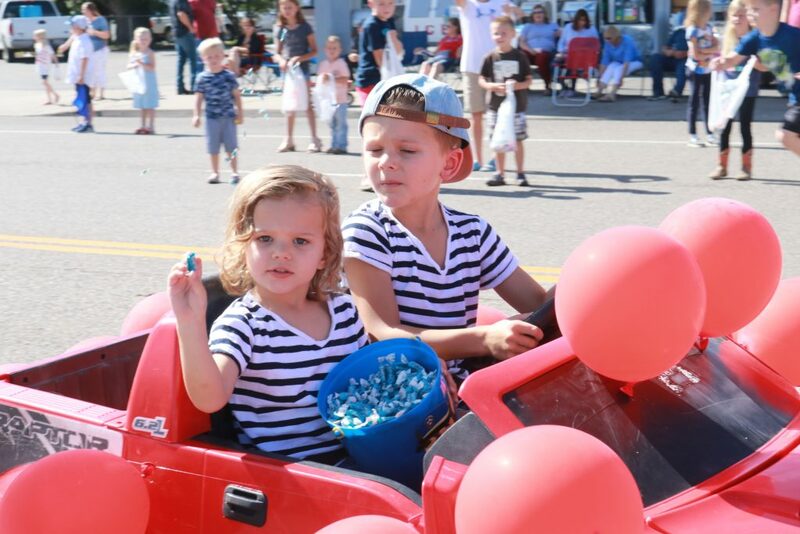 Homecoming royalty, grand marshals, firefighters, cheerleaders, high school athletes and many others also tossed candy to eager youngsters that lined the streets. 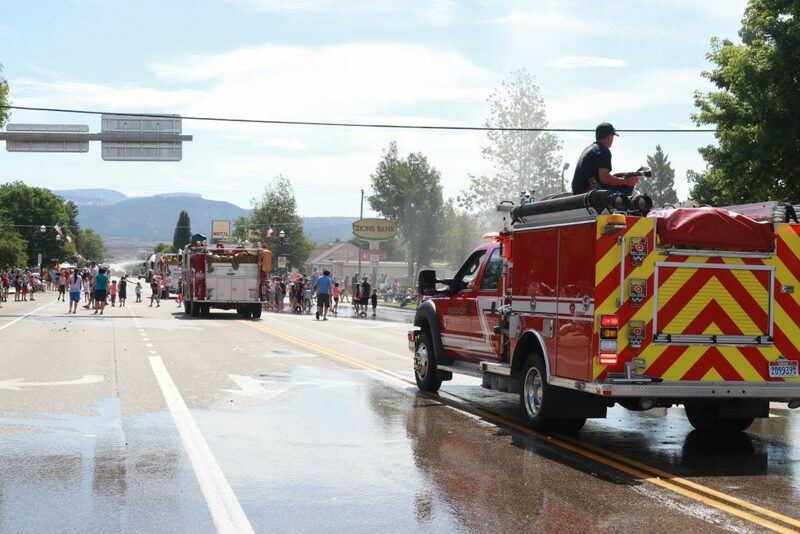 Firetrucks at the end of the parade turned their hoses skyward, providing a cooling shower to the crowds of children gathering in the street to get soaked. 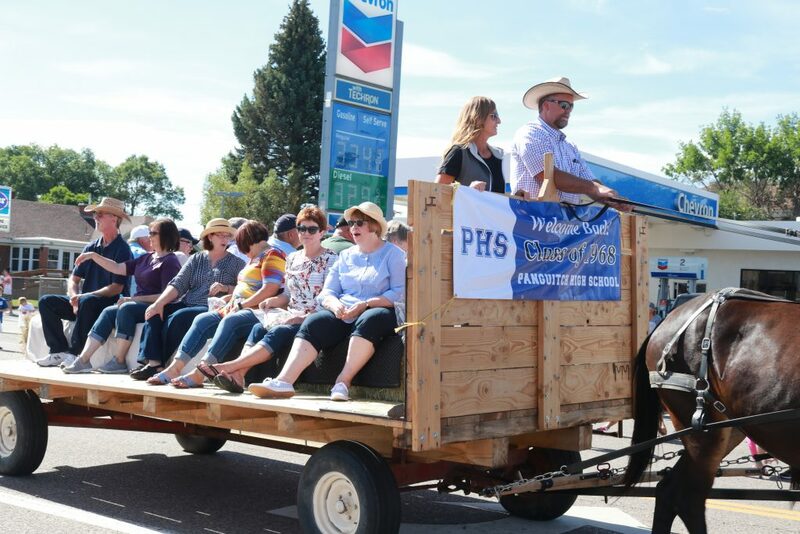 The town’s Pioneer Day celebration continues with a BBQ luncheon at the fair building and kid games at the baseball fields Saturday afternoon, followed by the finals of the Panguitch Invitational Rodeo at 6 p.m. Saturday at the Triple C Arena. 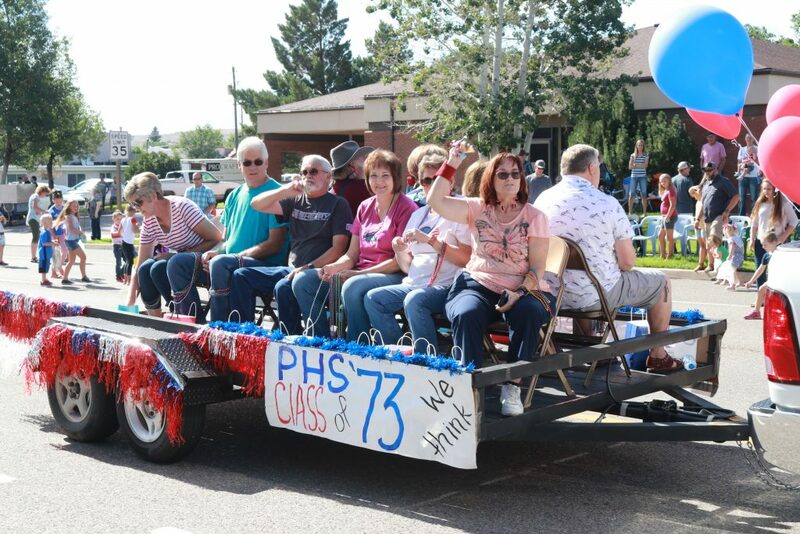 Various family reunion and PHS class reunion activities are also taking place. 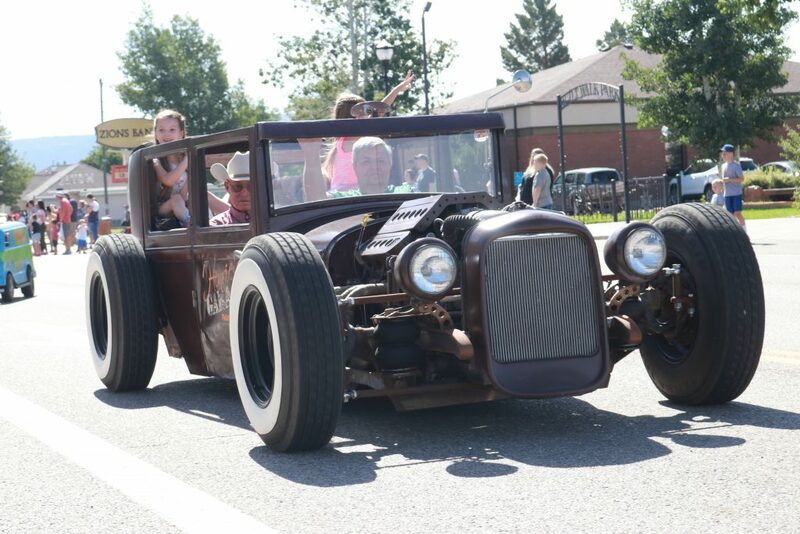 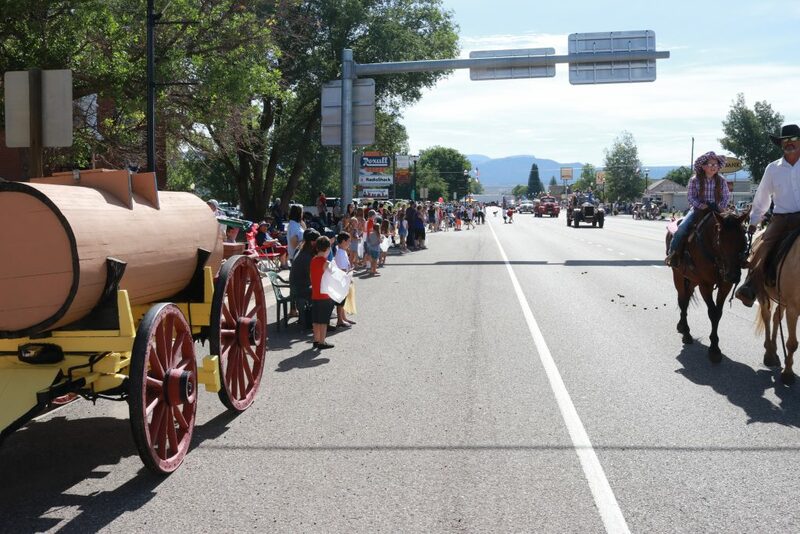 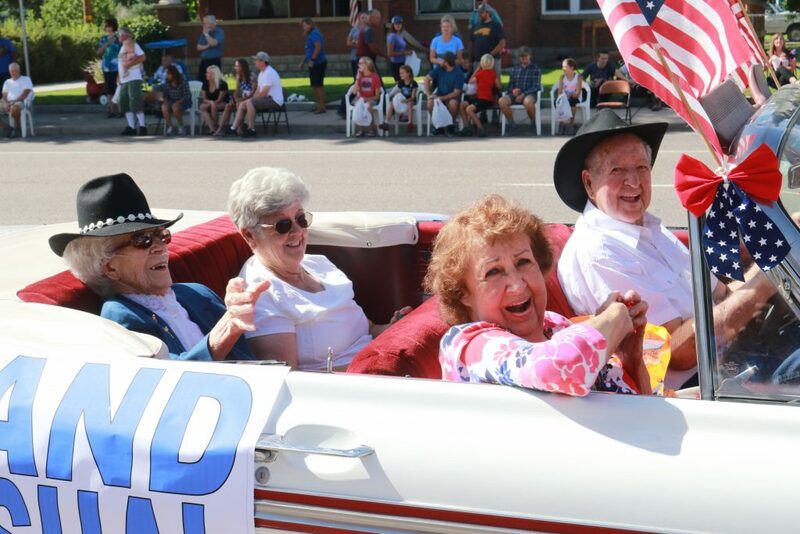 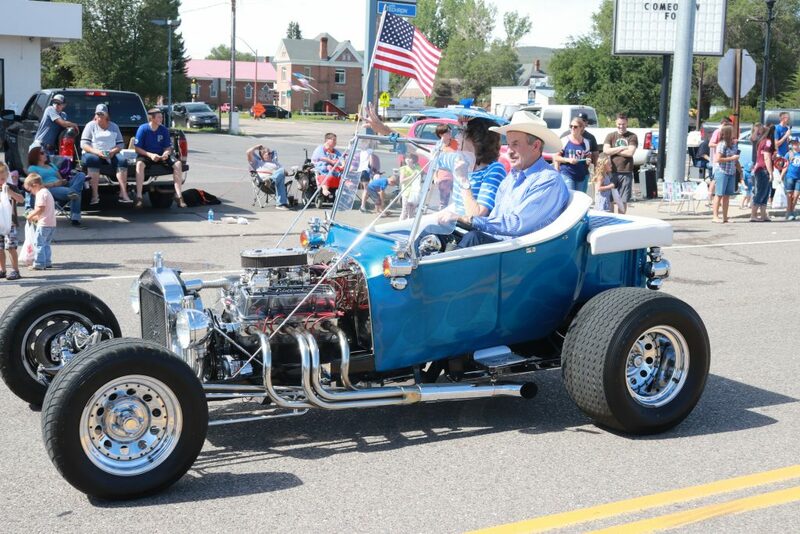 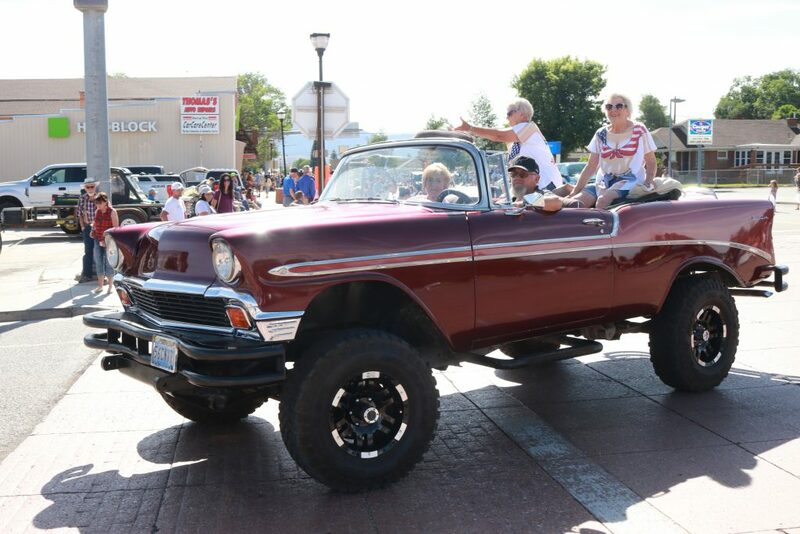 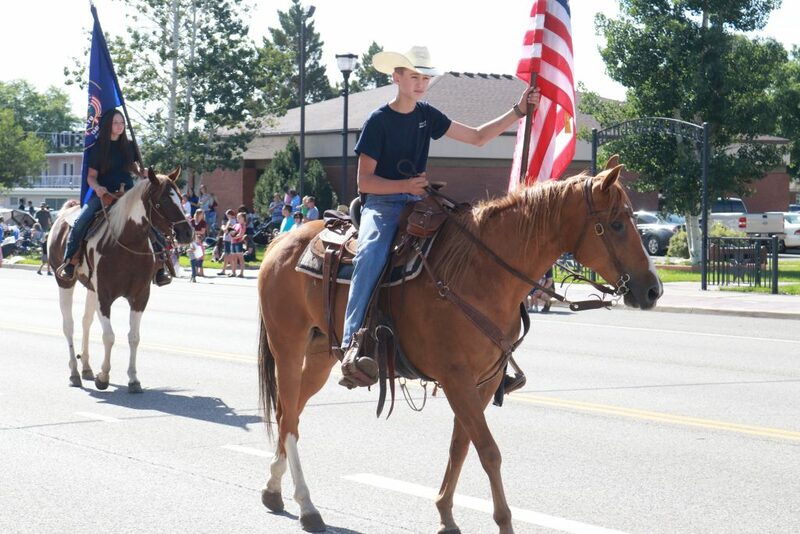 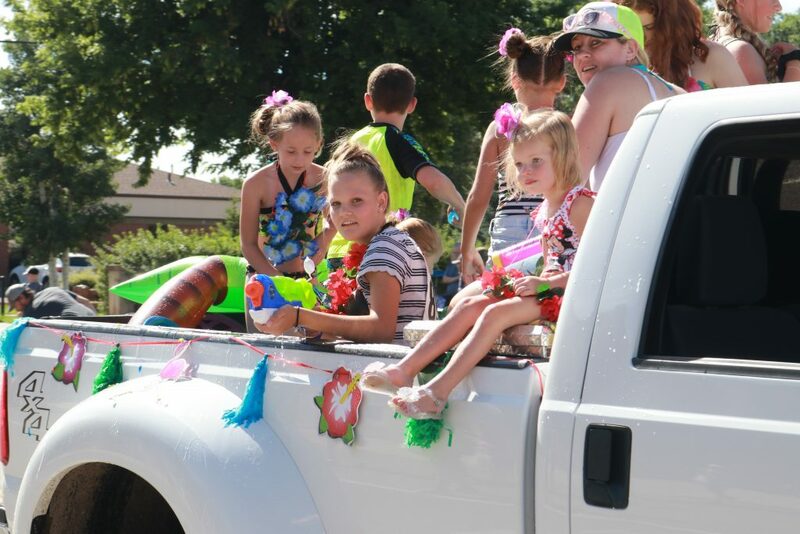 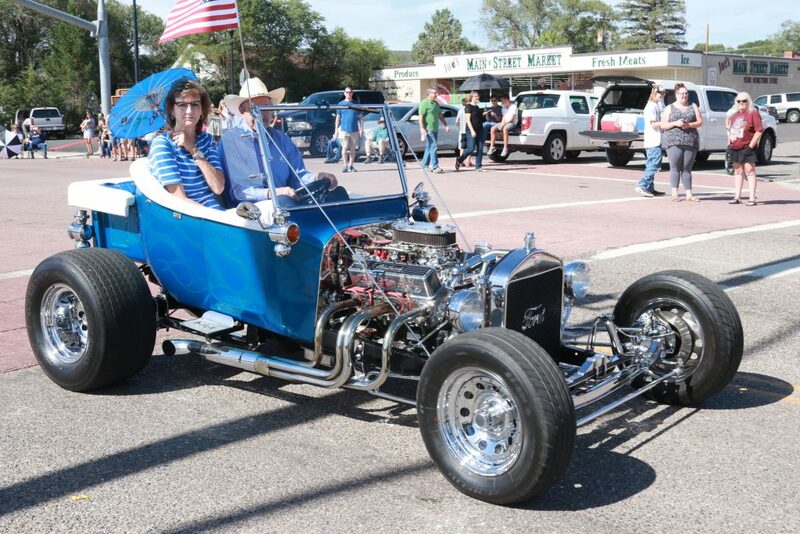 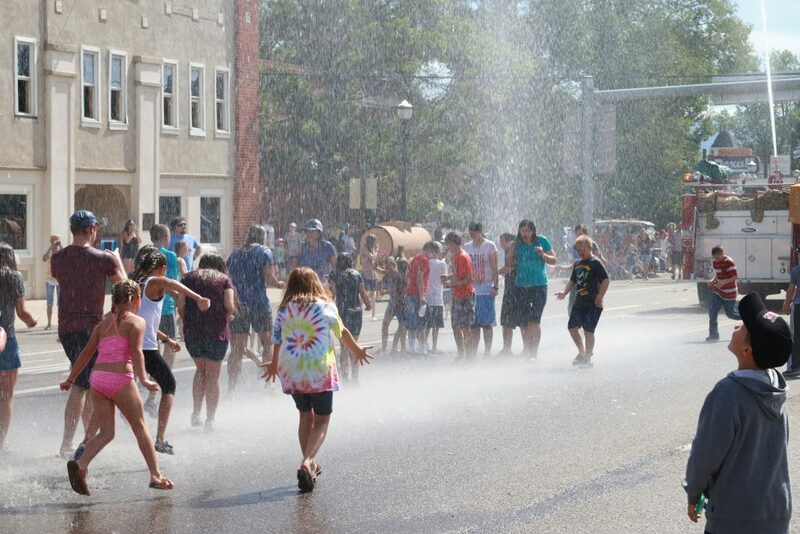 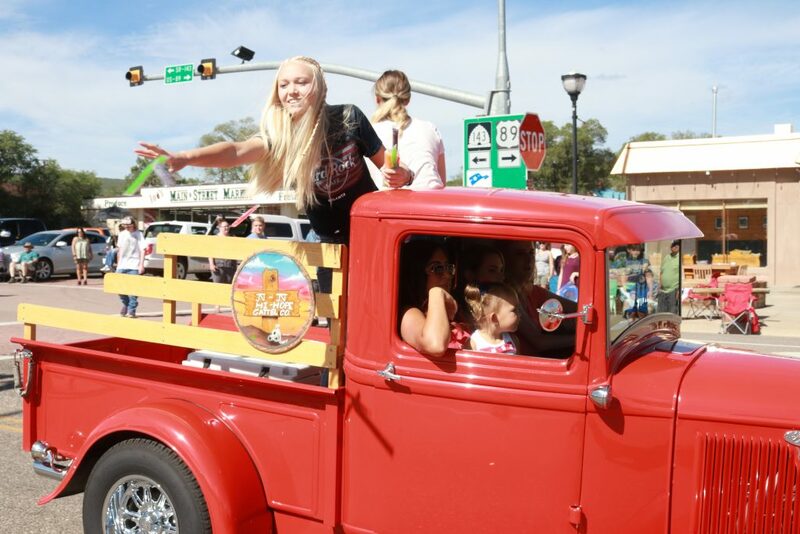 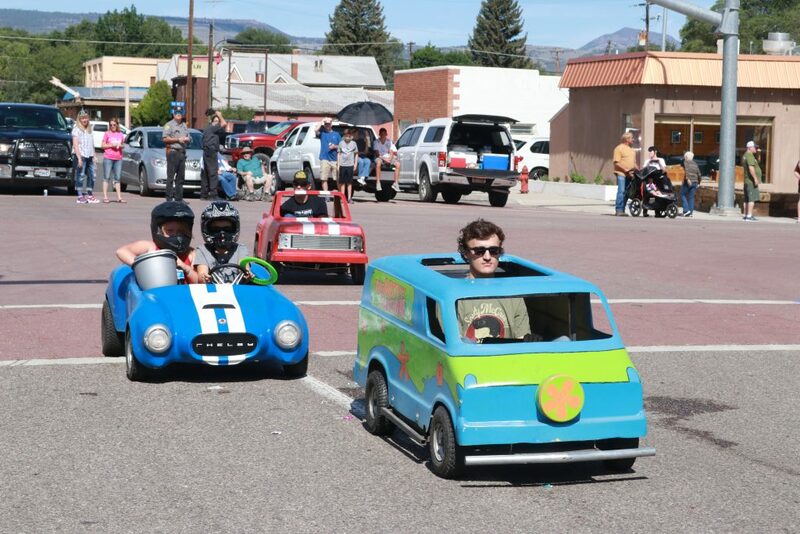 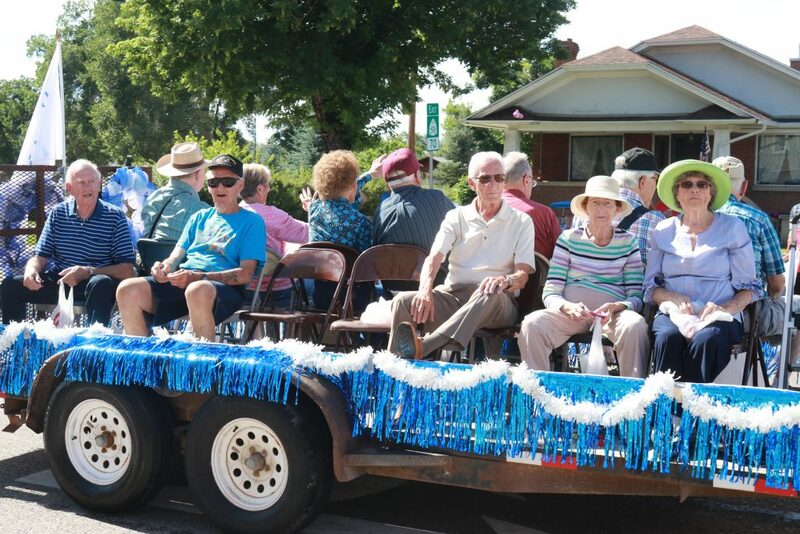 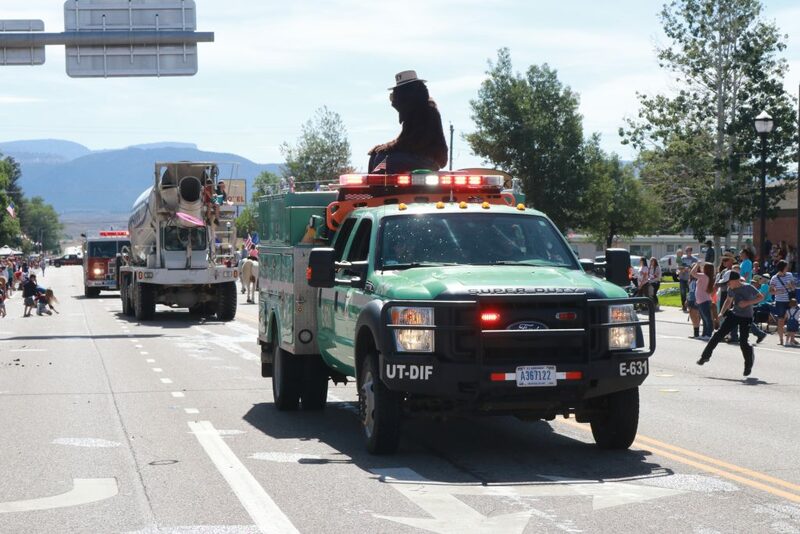 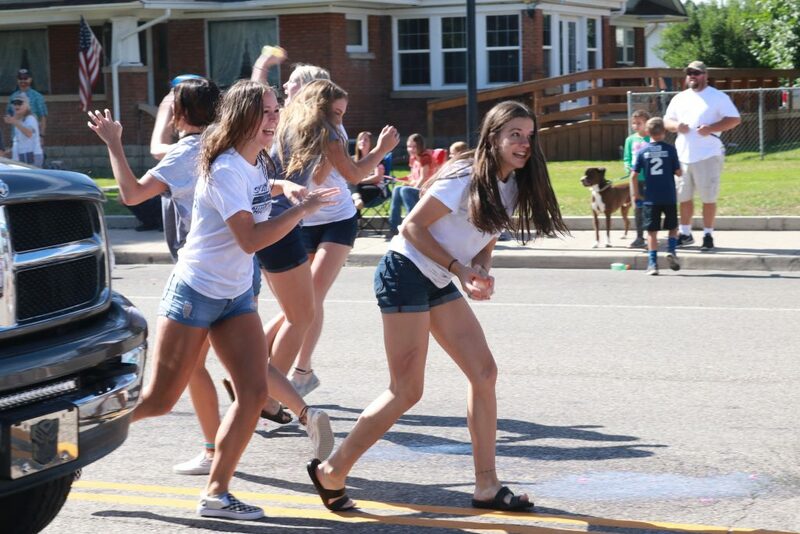 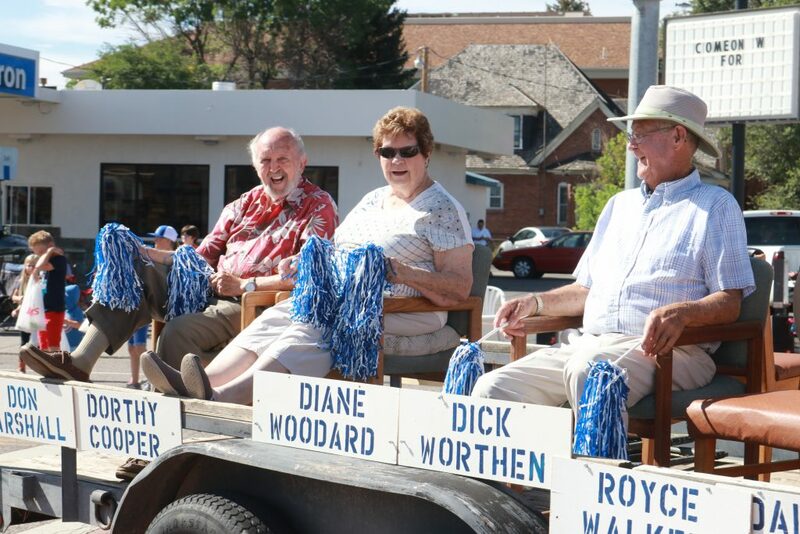 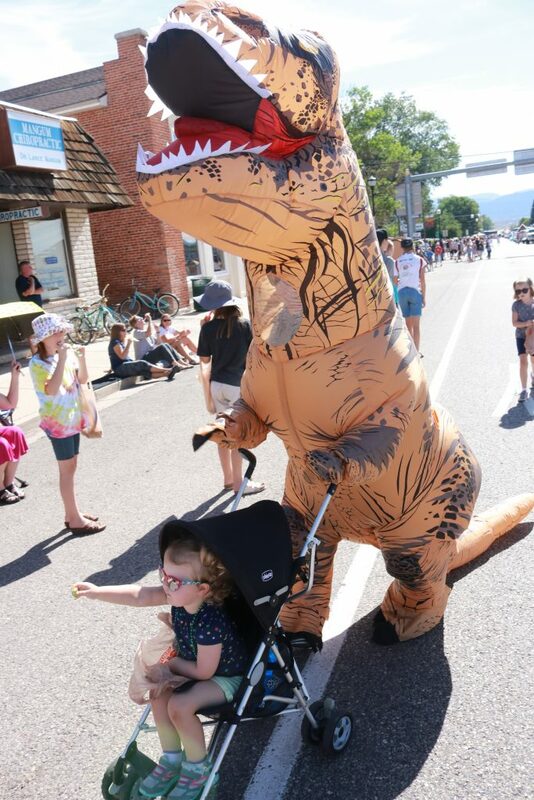 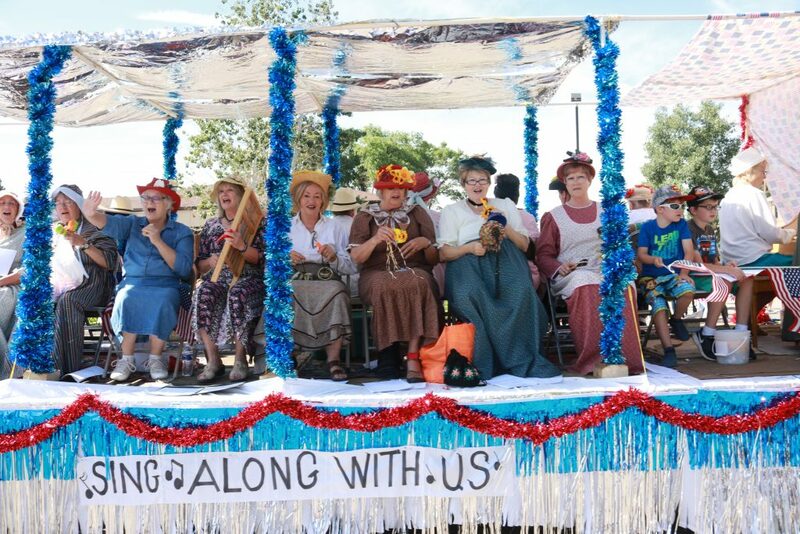 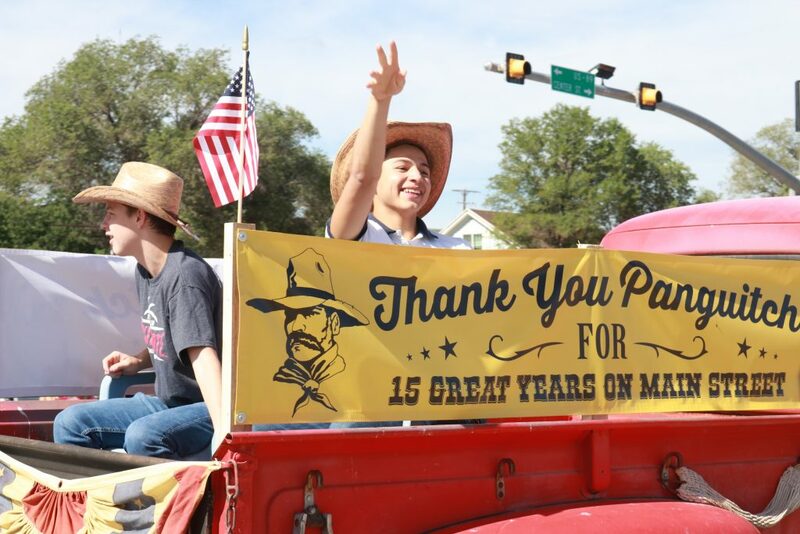 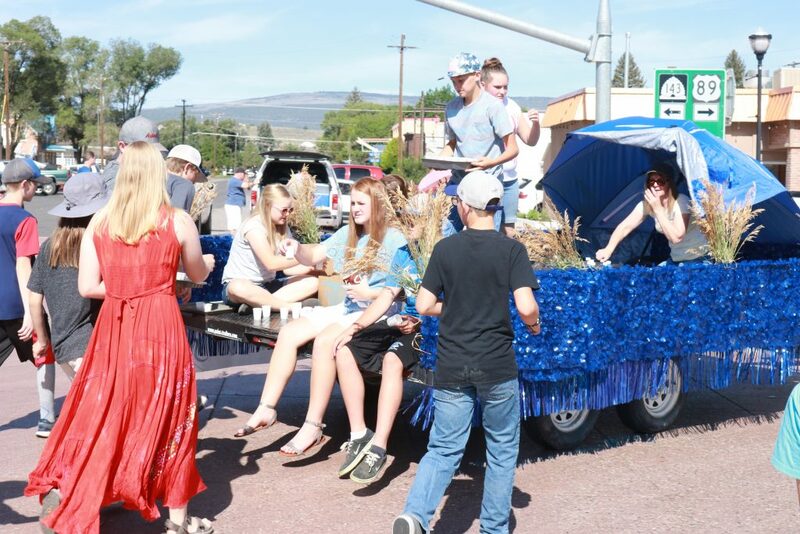 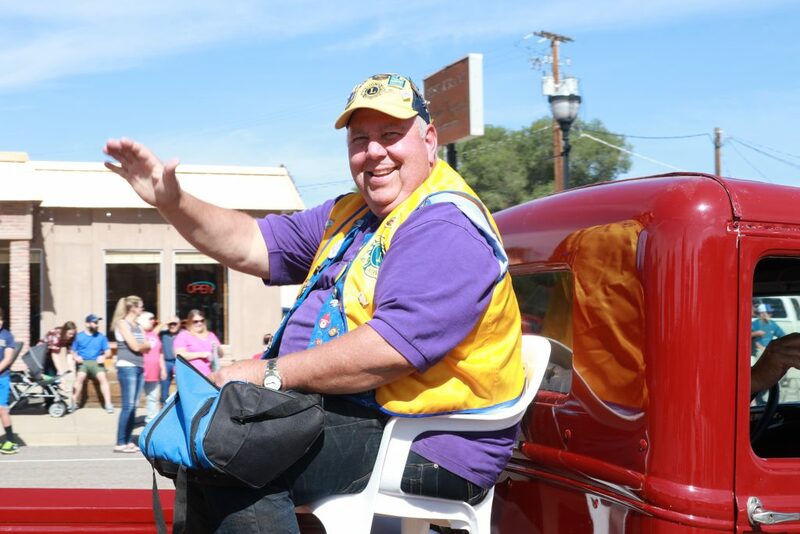 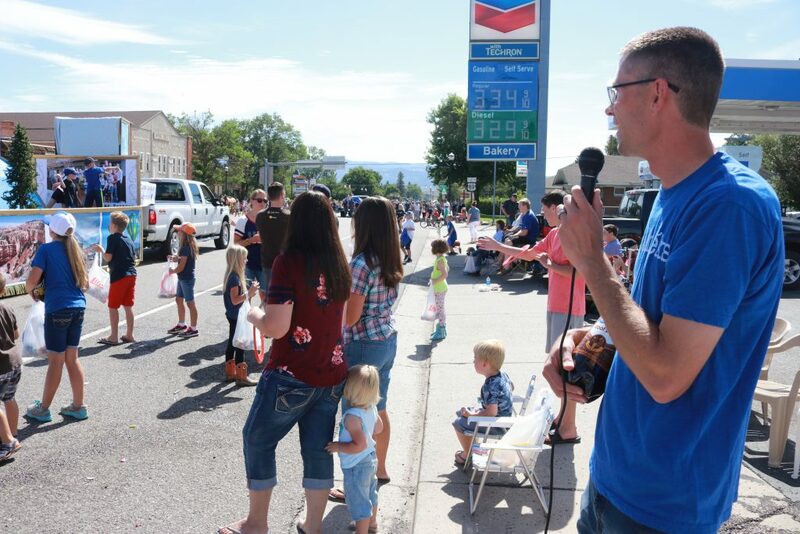 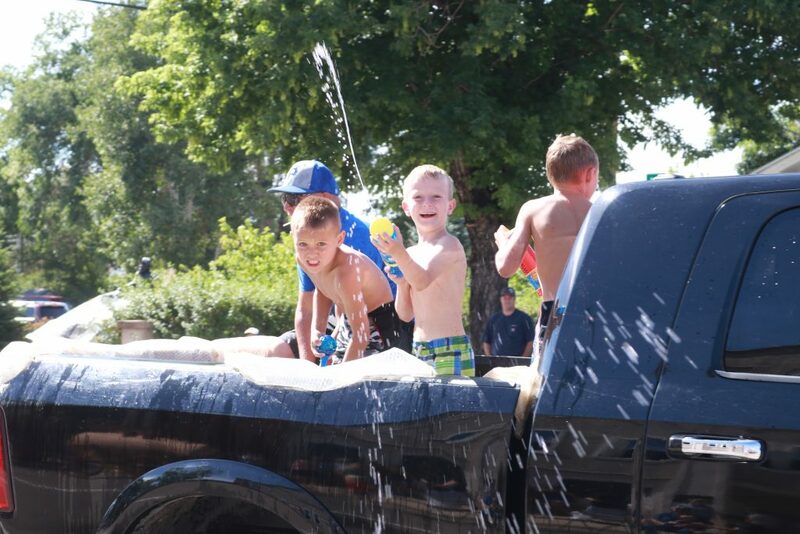 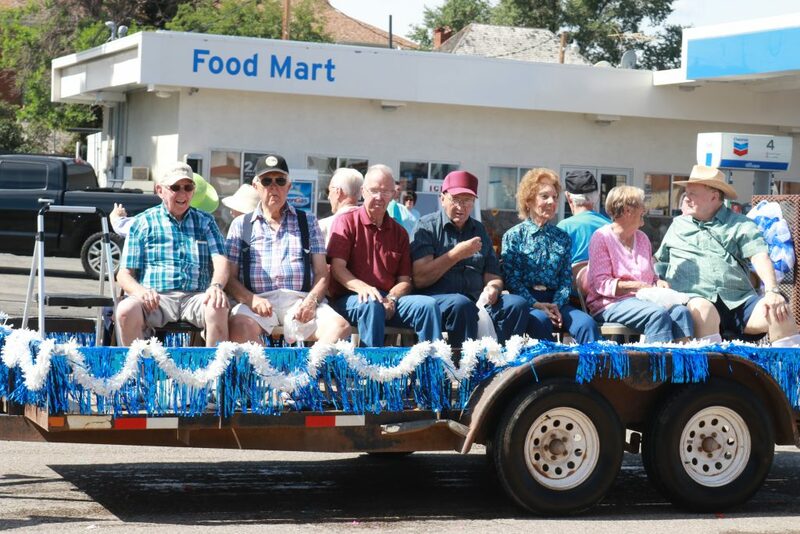 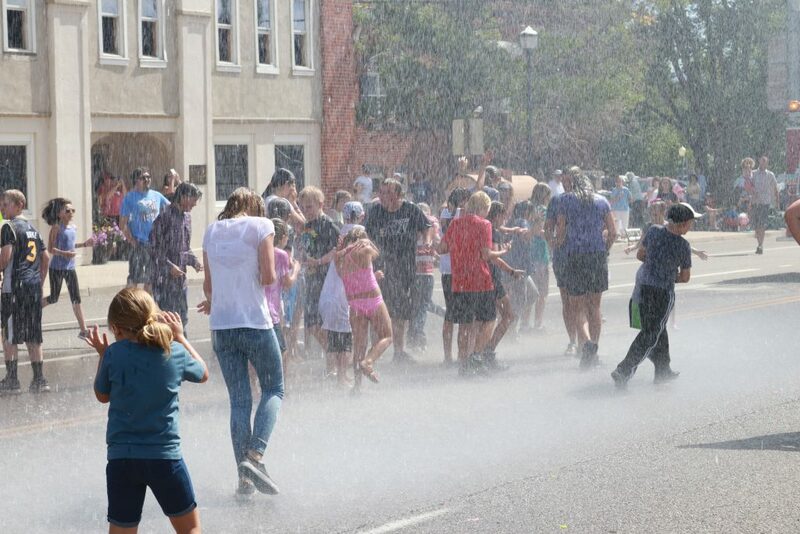 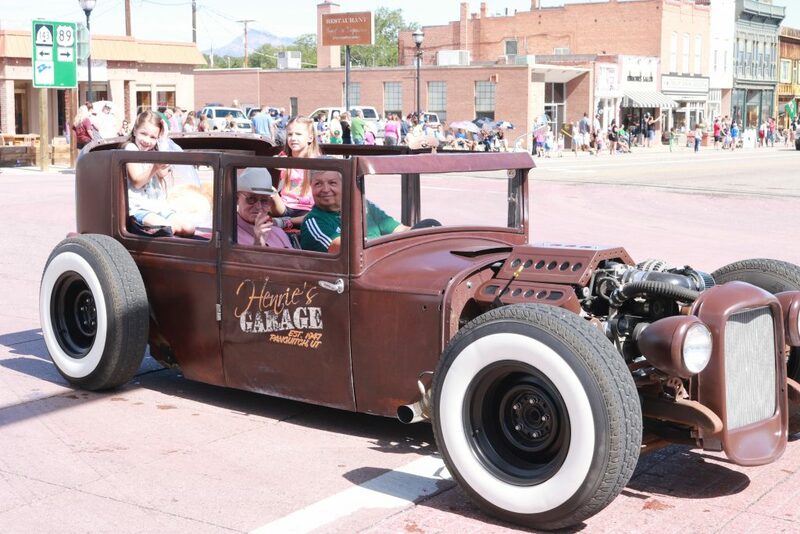 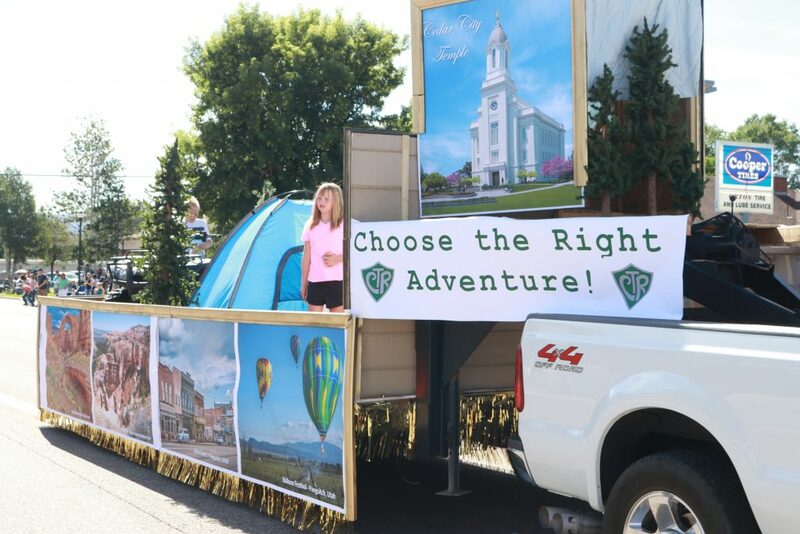 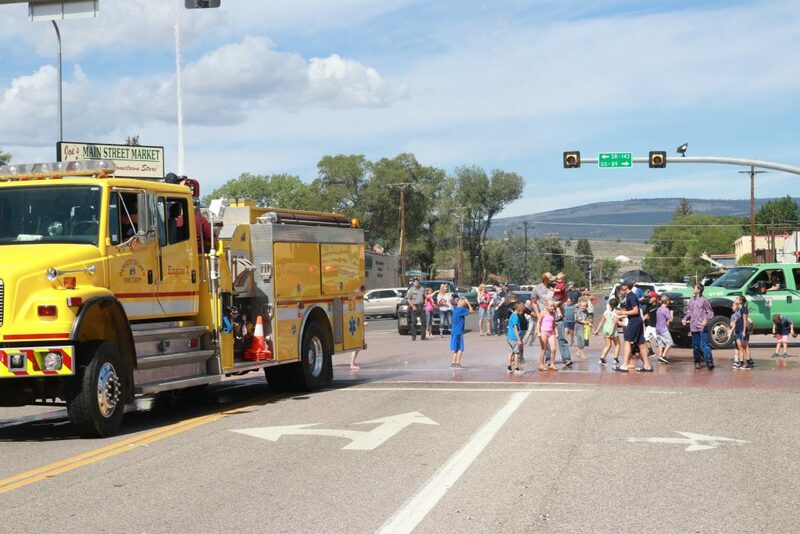 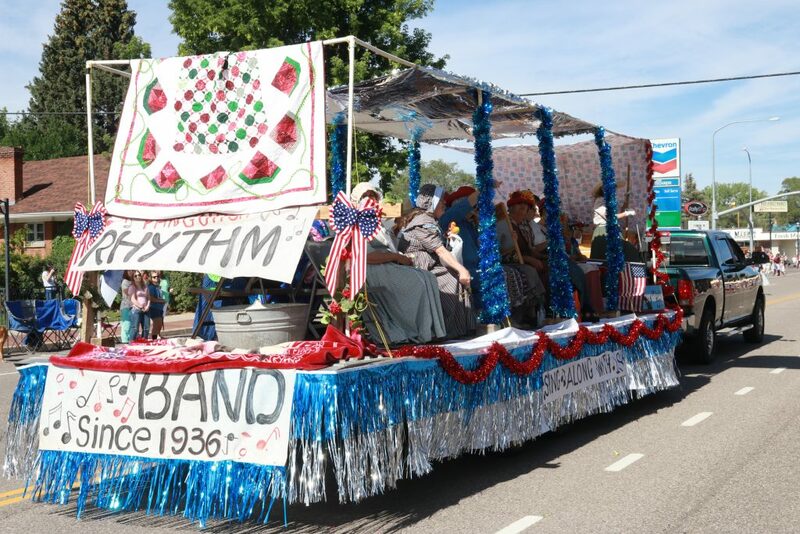 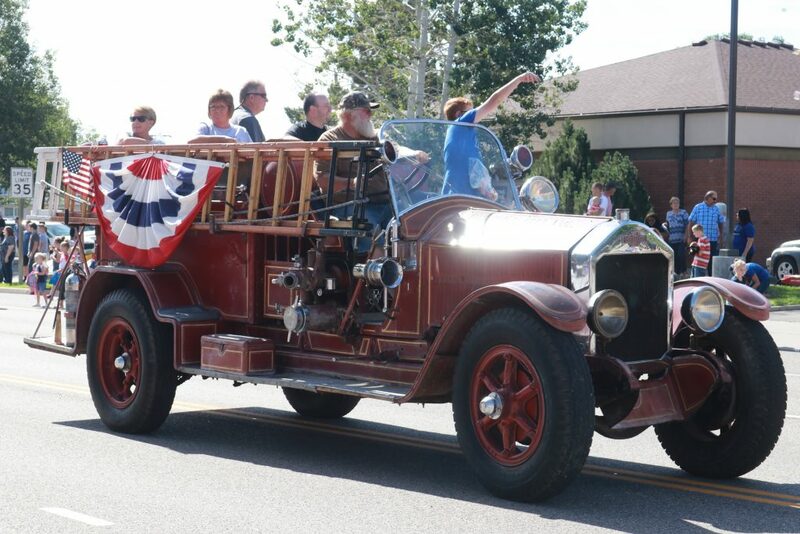 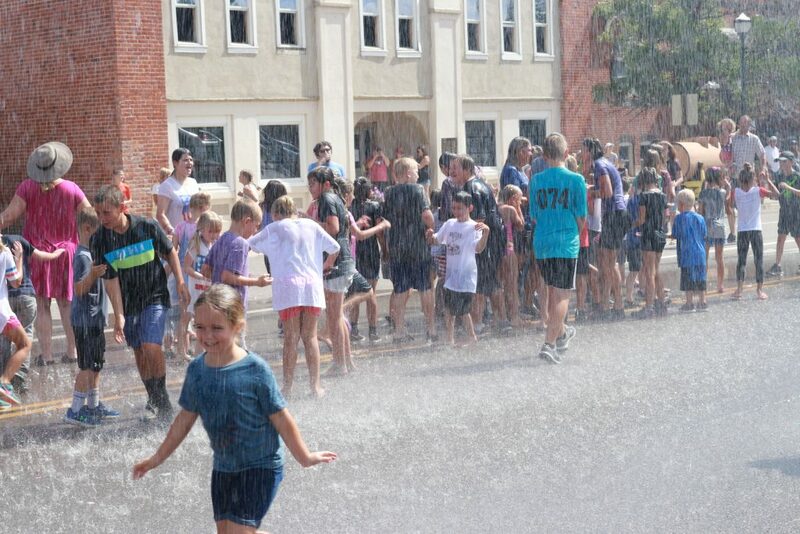 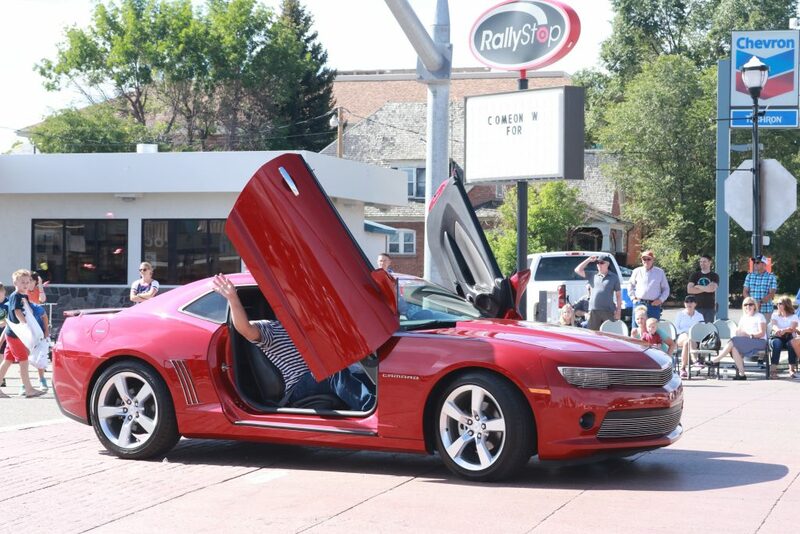 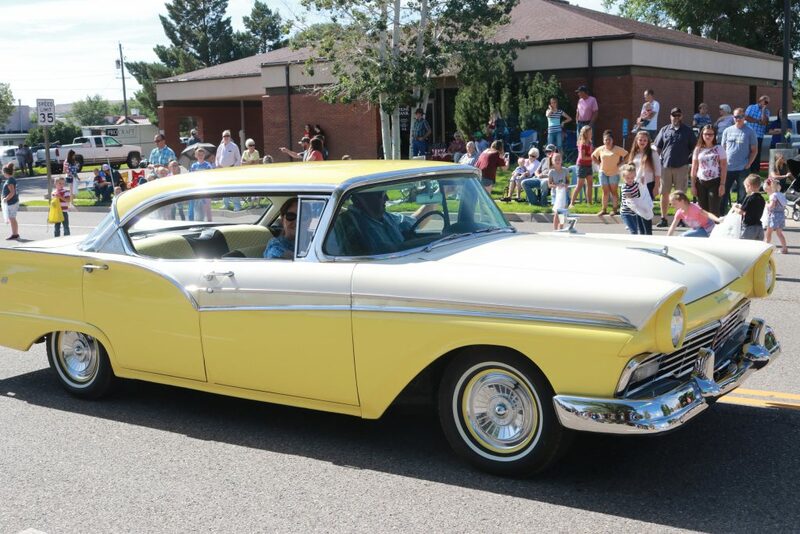 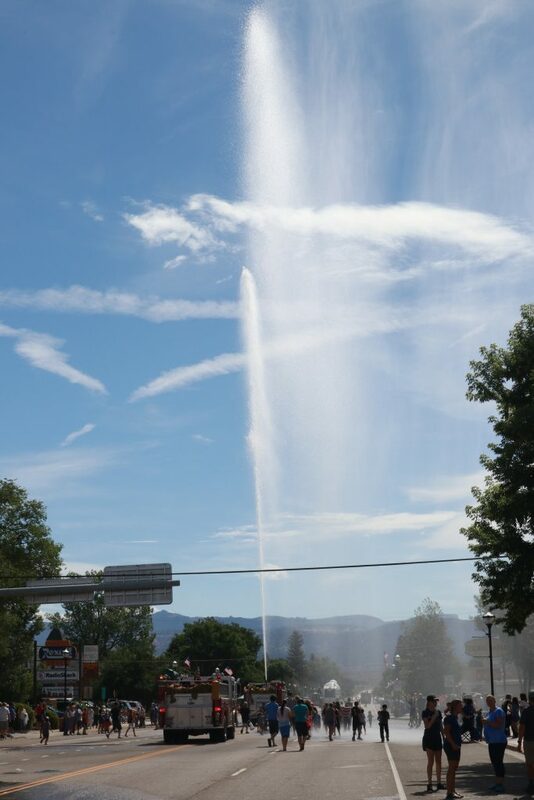 Check out Cedar City News’ photo gallery of Panguitch’s Pioneer Day parade below. 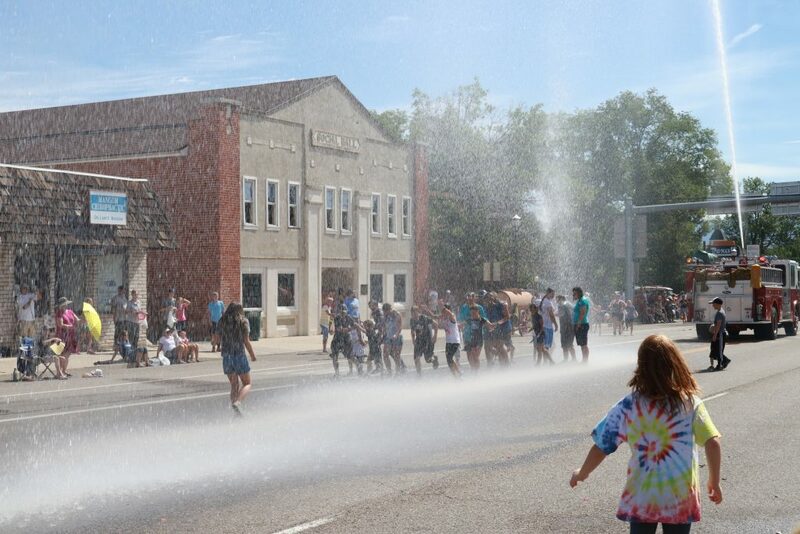 Exceptional photo gallery, the best thing next to actually being there. 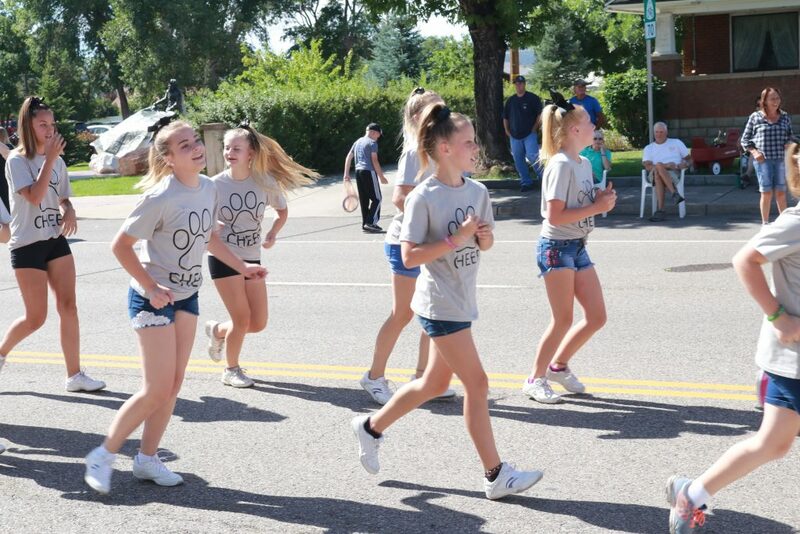 My compliments.